What is like to be a self-employed handmade items creator? Handmade gifts are everywhere and are really popular. Having clumsy hands, I’ve never been able to comprehend how such beautiful gifts were made, how long it takes to make one and if it is possible to make a decent living only from selling handmade stuff. 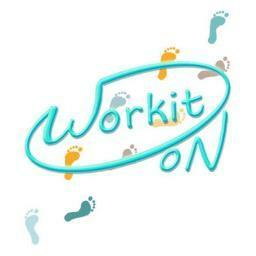 Workiton met with one of the foreigners who lives and works in Sofia, Bulgaria. We wanted to find out what made him leave the more developed Western Europe and move to Bulgaria. Has technology changed or influenced the way you work? I am sure it has, in one way or another, the future is now and it is taking over. We have seen the word a million times in articles, magazines, blogs, even Facebook, but it is very likely we do not have the slightest idea of what “Networking” actually means. We might relate it directly to Facebook and we definitely know it is an important tool when it comes to doing business. We can see these “work from home” job offers increasing every single day on the different job boards and people are really starting to get into this new groove because, let’s face it, staying at home has to be better than going to the office every day. However, this is not true for everyone. Working from home has its pros and cons, but, in the end, it depends on each person. Are you planning to start a career in IT? It is well-known that the IT specialists are among the most in-demand professionals and are usually very well-paid. Let’s have a look at the most demanded IT positions, what they actually mean and what qualifications are required. How to give a gift to an employee to show them you respect and appreciate them at the office? And most important how to select an appropriate present? Read our suggestions that can really increase the good mood at your workplace.